Explore the possibilities of your .NET enterprise apps with these dependency-free .NET spreadsheet components. Visualize data with dozens of charts and elements. 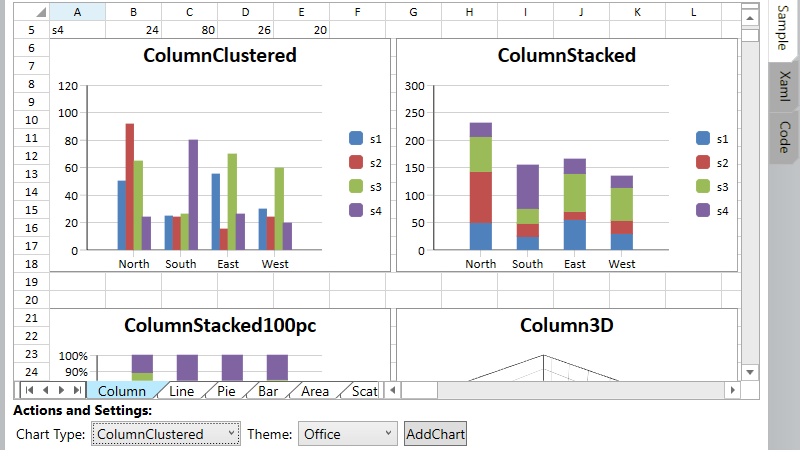 Create Microsoft Excel-like interactive data views and forms. 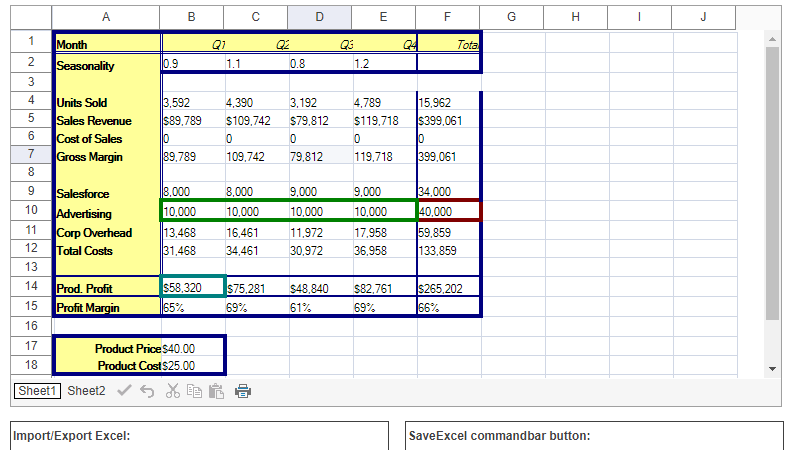 Combine the ease of spreadsheet input with complex calculations. Create complex input forms in the free-form grid layout. 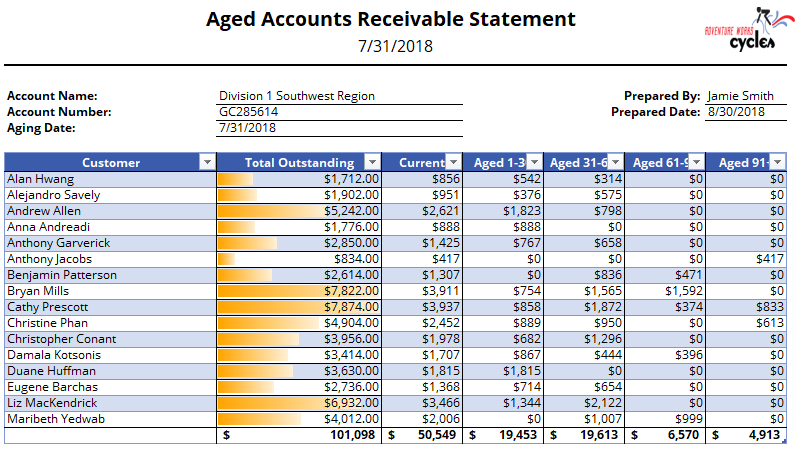 Generate accounting reports like this accounts receivable statement. Spread’s code-free desktop designer apps come with the free trial. 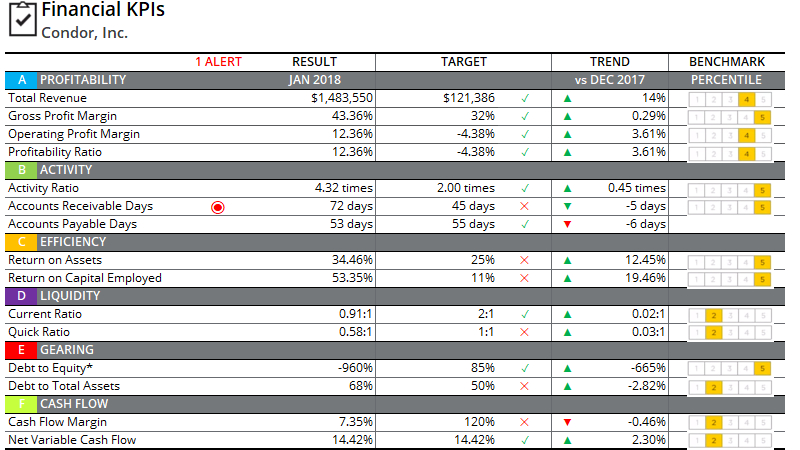 You can immediately create a full application with our templates, or experiment with the free-form data layout. Export your design for a quick import into the platform of your choice! 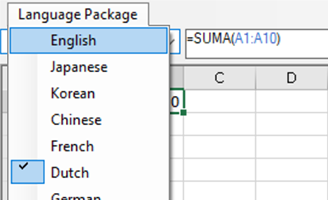 You can now reference cells and ranges in external workbooks and import/export those external references to XLSX. 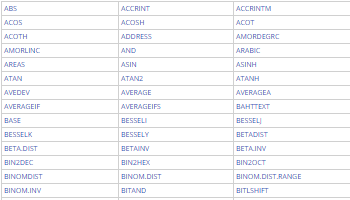 You can now apply one of 18 new language packages to the calculation engine, providing localized function names and syntax for structured references. 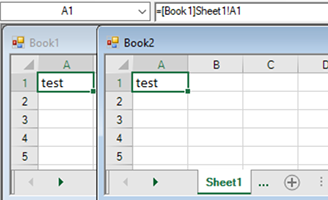 Reference header and footer cells in tables and worksheets with dynamic headers! 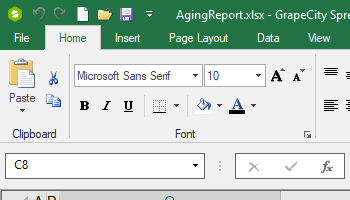 When you use formulas in the header and/or footer cell, you can refer to those formulas in other cells. Multiple performance improvements include faster data binding, encrypted XLSX files, and design time performance. 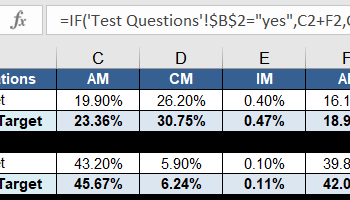 The new exchangeable file format that preserves custom Spread objects and improves performance when saving or exporting to Excel. Developers can now access the core spreadsheet model introduced in Spread.NET 12 with the AsWorkbook() method, providing direct access to many new VSTO-based APIs. If you want to take advantage of Spread.NET 12's new features, but need more time to migrate your current apps, we've introduced the LegacyBehavior method, which allows you to upgrade projects to Spread.NET 12 without breaking backwards compatibility. External variables are essentially custom classes that integrate directly with the calculation engine. 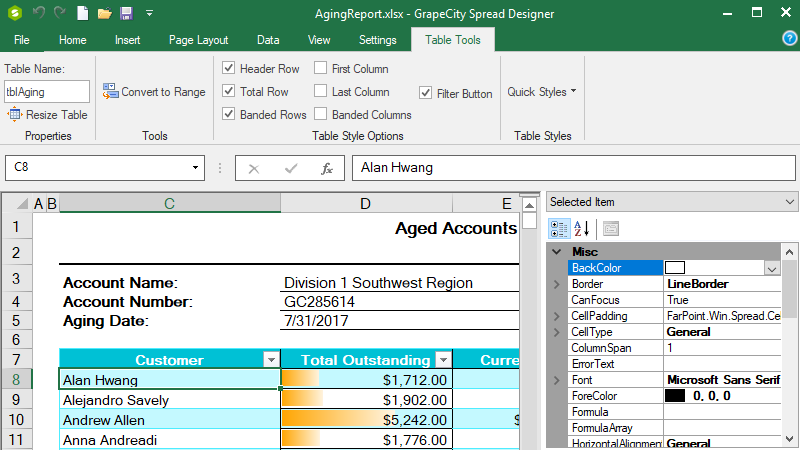 The new API supports multiple Excel-like dialogs, including built-in cell styles, advanced filtering, cell format, number format, gradient and pattern fill. 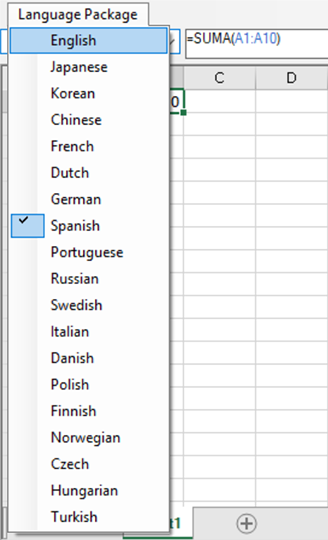 The new API includes full support for Office Themes, which means developers and end users can easily apply *.THMX files from existing Excel files with only a line of code. 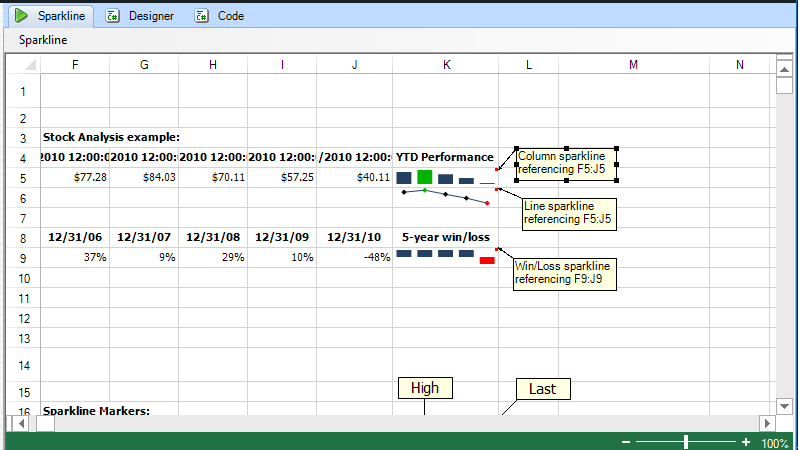 We have been using Spread in our desk and web products (PerpetualBudget) for over a decade. Not only are the Spread grids great controls but the support at GrapeCity is the best. When you need them, they're there! Spread is one of the single most important and long-awaited innovations to the business process integration (BPI) market I've ever seen. It did not take us long to get the hang of the tool and we were very pleased to discover that Vscroll was indeed automatic. Chuck Ashbaugh, President - Sasco, Inc.